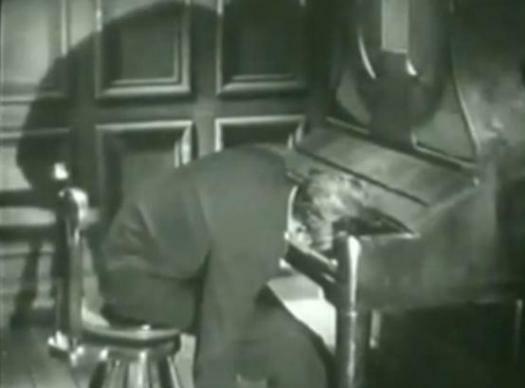 The horror cycle of the early 1930’s cast its dark shadow on other film genres. 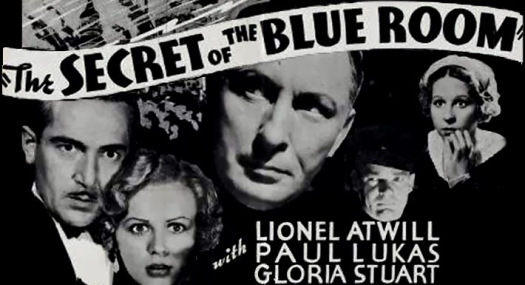 SECRET OF THE BLUE ROOM is one of those “old dark house/locked room” mysteries showing that influence; it’s a creepy, atmospheric little movie about mysterious murders, with horror vet Lionel Atwill front and center among the suspects. There aren’t any “monsters” here, but some good chills courtesy of director Kurt Neumann, who later directed the 1950’s sci-fi horrors KRONUS, SHE DEVIL, and THE FLY . This entry was posted in Film, Film Review, Horror and tagged Cracked Rear Viewer, Edward Arnold, Gary Loggins, Gloria Stuart, Halloween Havoc!, Kurt Neumann, Lionel Atwill, Paul Lukas, Secret of the Blue Room, Through the Shattered Lens, Universal Pictures. Bookmark the permalink.